Vote for Artec 3D, Artec Leo and Legacy Effects’ Jason Lopes as the Best 3D Scanning Company, Innovation and Maker of the year. We are excited to share some really great news with you: Artec has every chance to win the Best 3D Scanning Company and Innovation nominations at the 3D Printing Industry Awards! And one of our clients has reached the finals in the Maker of the year category. After sifting through more than 4,000 companies, products and entrepreneurs, the leading 3D tech publication 3D Printing Industry announced the short list of 18 nominations of its first annual contest and opened voting for readers. If you appreciate our work, you are very welcome to mark Artec 3D as the Best 3D Scanning Company. Artec has impacted the 3D tech world in the past year by continuing to supply clients from top-tier global companies to emerging startups with the best 3D scanning solutions for reverse engineering, quality control, VR projects and many other applications. At the beginning of the year we unveiled Artec Leo, the game changer in 3D scanning. This powerful scanner makes capturing objects in 3D a simple job even for a child. Leo provides up to 0.25 mm 3D resolution and up to 0.1 mm 3D point accuracy. Leo has a built-in touchscreen on which you can see your scans being developed as you scan. You thus need no laptop or tablet to stream the data to. Likewise, no wires are needed to connect the scanner to a battery pack or the mains – Leo doesn’t need them as it has its own battery onboard. While making the scanning process as easy as filming video with a regular video camera, we don’t compromise on the quality of scans. Leo provides up to 0.25 mm 3D resolution and up to 0.1 mm 3D point accuracy. We’ve also increased 3D reconstruction rate immensely – it now reaches an incredible 80 frames per second, which is 5 times faster than Artec Eva. If you like Artec Leo as much as we do, please cast your vote for Leo in the Innovation nomination. It’s a brand new product which isn’t on the short list, but you can write it in the “Other” entry. Artec 3D is also represented by Jason Lopes of Legacy Effects, one of the earliest adopters of our 3D scanners. Legacy Effects is a Hollywood-based special effects company credited for the Avatar, Terminator Genisys, Jurassic World and other top-grossing movies which Artec 3D scanning technology helped produce amazing visuals for. Vote for Jason as the Maker of the year! The awards ceremony will be held at Chelsea Old Town Hall in central London on May 20. Let’s aim to win all three prizes! Can’t stop, won't stop! Artec’s most cutting-edge 3D scanner, Artec Leo wins yet another significant award; the Golden Mousetrap Award for the best device in the Test & Measurement category. Simply the best! Our spectacular Artec Leo 3D scanner wins the prestigious 2018 NED Innovation Award! Artec 3D has done it again! 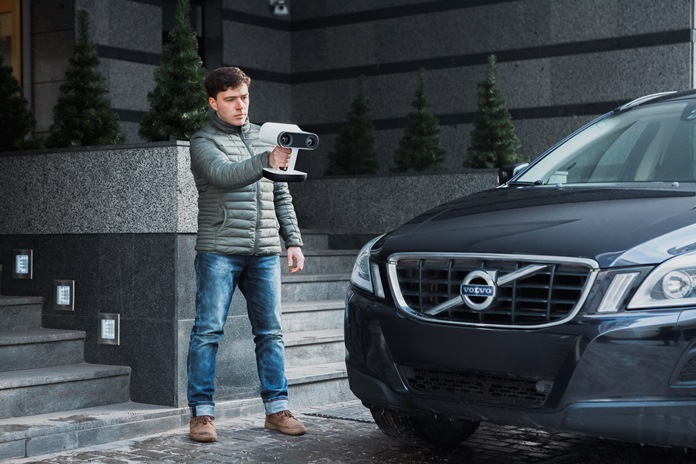 We’ve developed the most advanced and versatile 3D scanner on the market today, claiming the top spot among all other innovative and ambitious global projects, according to the annual New Equipment Digest contest! Cast your vote and help Artec Leo win the New Equipment Digest Innovation Award! We have some very good news to share with you: the amazing, the one and only Artec Leo 3D scanner has been nominated for the New Equipment Digest Innovation Award!